What is the NBFDS and Why Does It Matter? In 2016, Congress passed the National Bioengineered Food Disclosure Law. That 2016 law required the USDA to issue a set of rules providing national uniformity for the mandatory disclosure of bioengineered foods (also called BE foods). The USDA announced those final rules – the National Bioengineered Food Disclosure Standard (NBFDS) – on December 20, 2018. The NBFDS generally requires foods to bear a specified disclosure if they contain ingredients that are either on the USDA’s List of Bioengineered Foods or are known to be bioengineered, subject to a number of limitations and exemptions. The NBFDS has not garnered the attention it deserves, possibly because the government was shut down just days later. Either way, compliance with the NBFDS is mandatory for food manufacturers as of January 2022. But you may see food bearing NBFDS-related labels as early as this year (the NBFDS becomes effective on February 19, 2019). So whether you are in charge of sourcing food products, responding to consumer inquiries regarding food, making national advertising decisions, or simply curious, what does the NBFDS require? Food manufacturers, importers, and retailers who package and label food for retail sale or sell bulk food items must comply with the NBFDS. Food manufacturers with annual receipts of less than $2.5 million are exempt from the disclosure requirement. The NBFDS does not apply to restaurants or “similar retail food establishments.” This means that cafeterias, lunch rooms, food stands, transportation carriers (e.g., trains and planes), saloons, bar lounges, delis, salad bars, and other food stands within retail establishments that provide ready-to-eat foods are not subject to the BE food disclosure rules. “Food” covered by the NBFDS includes what you typically think of as food for human consumption, as well as dietary supplements, processing aids, enzymes, and chewing gum. The NBFDS also applies to foods regulated by the federal meat, poultry, and egg inspection acts in certain circumstances, such as canned stews, depending on which ingredients predominate. It does not apply to distilled spirits, wine, or malt beverages, which are covered by a different federal law. What makes a food BE? The NBFDS generally defines BE foods as those foods “that contain genetic material that has been modified through in vitro recombinant deoxyribonucleic acid (rDNA) techniques and for which the modification could not otherwise be obtained through conventional breeding or found in nature,” subject to some qualifications. CRISPR and other methods of gene editing are not included in the NBFDS definition of BE food. The USDA will maintain a “List of Bioengineered Foods” to be updated periodically. That list now consists of alfalfa, apple (Arctic™ varieties), canola, corn, cotton, eggplant (BARI Bt Begun varieties), papaya (ringspot virus-resistant varieties), pineapple (pink flesh varieties), potato, salmon (AquAdvantage™), soybean, summer squash, and sugar beet. But, even if a food is not on the List of Bioengineered Foods, companies subject to the NBFDS will need to make a bioengineered disclosure if they have “actual knowledge” that a food they are selling is bioengineered as defined in the NBFDS. Companies can perform testing and maintain records to confirm that – even if a food is on the List of Bioengineered Foods – the particular version of that food they are using is not bioengineered. Highly refined foods, such as vegetable oils and high fructose corn syrup, are unlikely to require disclosure. Foods are not considered BE foods under the NBFDS if the processing effectively eliminates the DNA that was originally present and, therefore, there are no detectable modified genetic substances. Food derived from an animal that consumed feed that has bioengineered ingredients (think corn, soy, alfalfa, potato) does not need to bear a BE food disclosure. Eggs that come from chickens fed from BE corn feed, for example, do not need to be labeled bioengineered because of that feed. Food certified as organic under the National Organic Program (NOP) is exempt from disclosure because the NOP regulations already do not allow ingredients that are bioengineered. Food with less than five percent detectable bioengineered substance and no ingredient is intentionally (as opposed to inadvertently) a BE substance is exempt from disclosure. How to Disclose BE Foods? 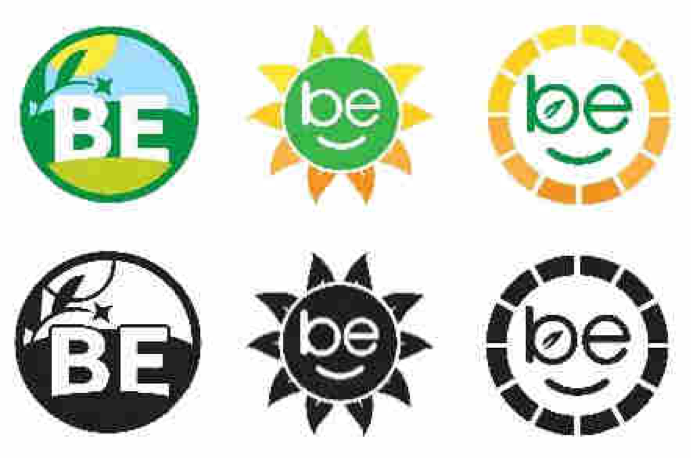 BE foods can bear a text disclosure (such as “Bioengineered food”), a symbol disclosure (like the picture above), an electronic or digital link disclosure (such as a QR code), or a text message disclosure (e.g., Text [command word] to [number] for bioengineered food information.) The NBFDS disclosure labels are available at https://www.ams.usda.gov/rules-regulations/be/regulated-entities. This means that you will need to read the label, check the “scan here for more food information” digital link, and check for a text message instruction if you want to confirm whether you are buying a BE food. The voluntary disclosure “derived from bioengineering” or “ingredients derived from a bioengineered source” may be used for certain products, such as highly refined products made by manufacturers that want to disclose the product derivation. Does this mean an end to differing state standards and lawsuits? States can no longer pass GMO labeling legislation like the Vermont law. The National Bioengineered Food Disclosure Law preempts state GMO labeling laws. That said, states can pass their own bioengineeredfoodlaws – provided that they are identicalto the NBFDS. Though the impact of the NBFDS is beginning to be addressed in consumer litigation, the NBFDS has not yet put an end to costly and time-consuming consumer lawsuits over “GMO-free” claims, for example. This just a basic overview of a fairly complex rule. More than 14,000 comments were submitted to the draft NBFDS rule before it was finalized and published. There remain disparate views over what the law should cover and what should be disclosed and how. And, because the List of Bioengineered Foods is dynamic and will be updated annually, companies should work with their in-house or outside counsel to keep tabs on further developments. Similarly, there are record-keeping requirements in the NBFDS for companies that have foods made from an ingredient on the List of Bioengineered Foods that is nevertheless not a BE substance.